Duchenne muscular dystrophy or DMD is a serious genetic disorder that affects hundreds of children every year. This disorder leads to conditions like atrophy and muscle weakness. There is no cure for the disease, however, supportive care can be offered to take care of their lungs and heart but these arrangements can only extend their lives till 27. Now what causes Duchenne muscular dystrophy so dangerous for children? 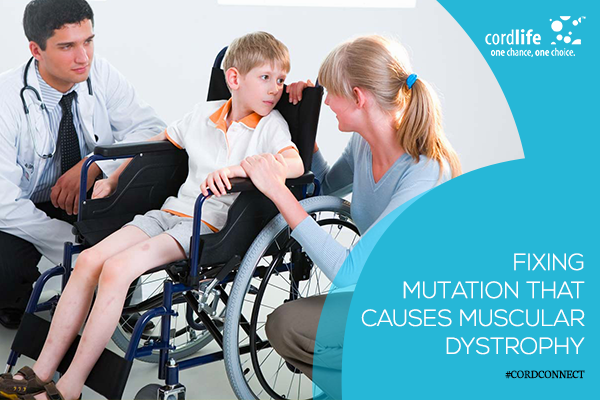 Kids, suffering from DMD cannot produce dystrophin, a protein that helps to keep away the muscles from breaking. The main reason is, these people have gone through a mutation in their gene in the X chromosome, which is responsible for providing the blueprint for dystrophin. The genetic mutation may lead to a more critical situation where most parts of the dystrophin get affected and a result the body stops producing the protein completely. For some people with DMD, there are so many errors in the gene that the body cancels out the affected protein the moment it’s created. However, what’s more interesting to see is, the researchers have concentrated on the genes that are completely flawed and that interrupt in reading blueprint to produce dystrophin. In order to address the criticalness of this condition, researches have conducted a study on a mice model. Multiple groups of researchers have harnessed the technique of applying gene editing enzyme complex CRISPR in order to modify the genes of mice with DMD. The technique allows cutting the errors in the genetic code, so that their effects can simply be avoided. After that the body starts to read the gene and then produce a shorter version of the protein that manages to protect the muscles from breaking down so easily, much like the process to treat patients with Becker muscular dystrophy. The process involves loading the CRISPR complex into a virus and then injecting it to the mice fetus with DMD. The researchers have found that the mice began to create the shortened protein once the virus is injected into them. This helped the mice to resume the power of their muscles, which gradually led to a concrete treatment of their disease. So, the research was quite successful on the mice model. The findings have generated a thin window of hope for the people, suffering with Duchenne muscular dystrophy mutation as well. But the process was easier for mice, and the researchers know that it’s not going to be the same easy game for humans. Moreover, no matter how foolproof the technique is proved for the mice, it may not deliver the same results on humans. The scientists have established that the CRISPR can cut away additions to the gene but it will still take some time to show if it can address other kinds of mutations at all. Researchers are also not sure about the reactions of CRISPR complex in humans. Chances are that they might get rejected by the human immune system altogether. 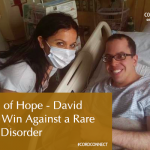 If it does not prove to be a 100% fix to the disorder, it means that the technique will not be able to treat all patients with Duchenne muscular dystrophy mutation. However, having said all these, it’s also true that this research is the first ever experiment to have shown success, even if on a mice model. And researchers are hopeful that with more clinical trials, they might achieve the desired results soon. 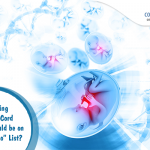 Pregnancy children, Clinical Trials, doctor, genetic, health, life, Muscles, Muscular Dystrophy, Mutation, research, treatment. permalink.